Your friend will love this very special friendship gift. 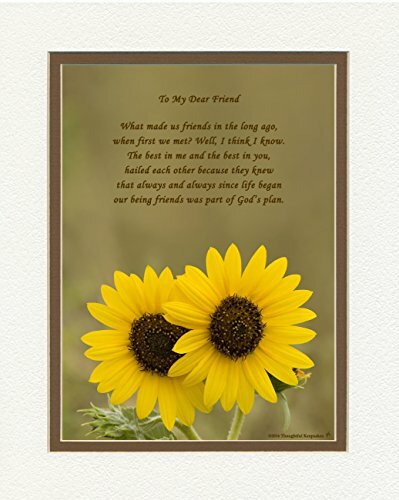 This photo of two pretty sunflowers includes the poem: To My Dear Friend (above poem) What made us friends in the long ago, when first we met? Well, I think I know. The best in me and the best in you, hailed each other because they knew that always and always since life began our being friends was part of God's plan.